Since its introduction earlier this year, the all-new Toyota Vios is now a far more formidable rival in its segment, offering a long list of segment-first features. The Toyota Vios has come a long way since it was first introduced here in 2003. Over time, the competition got stiffer, and the customer got more and more demanding. 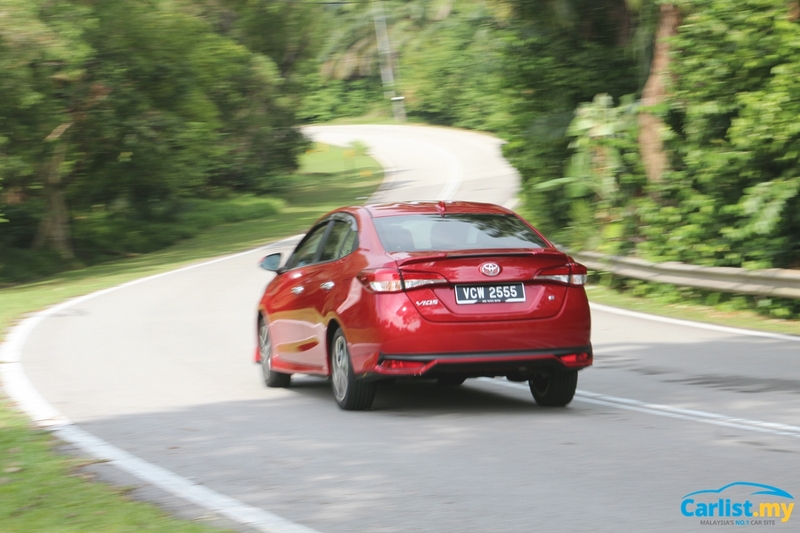 The formidable little Vios had to adapt with the times or risk getting axed. For the longest time, the Vios was offered with a four-speed automatic. Rivals such as the Honda City started to offer a five-speed unit as early as 2008 in the GM2-generation City, before moving to the CVT-type automatic in the current generation model. In terms of safety, the Honda City is the first in the segment to offer Vehicle Stability Assist (VSA). 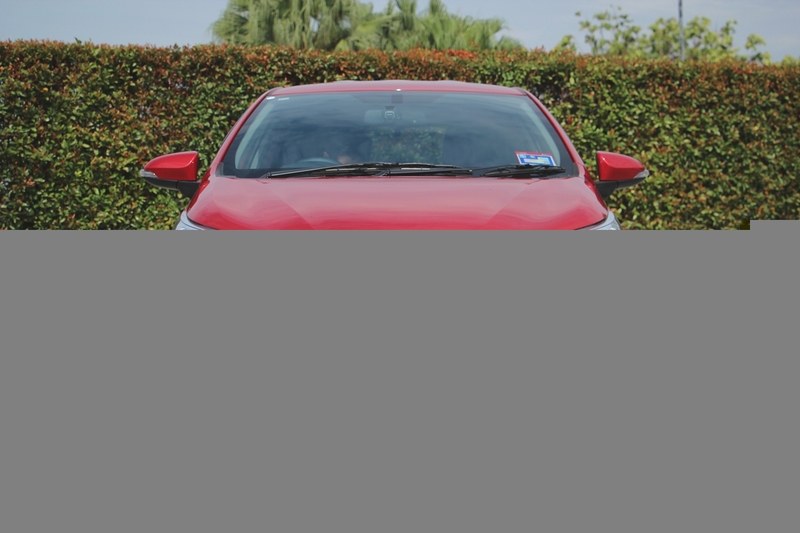 Airbag count was another sore thumb in the Vios’ book: until the introduction of this facelifted Vios, all variants of the little sedan from Toyota offered only 2 front airbags. As such, Toyota knew that in order to keep the Vios relevant with customers, a lot of work had to be done to increase the appeal of the Vios. While changes could not be done overnight, they did discontinue the proven-but-dated four-speed automatic, replacing it with a more modern CVT-type automatic and introducing electronic stability control across the range in 2016. Toyota has also decided to include seven airbags on all variants of the Vios, not just limiting it to the range-topping model. More expensive variants of the all-new Vios add Blind Spot Monitoring (BSM) with Rear Cross-Traffic Alert (RCTA), and Panoramic View Monitor, further separating the little Toyota from its segment rivals. 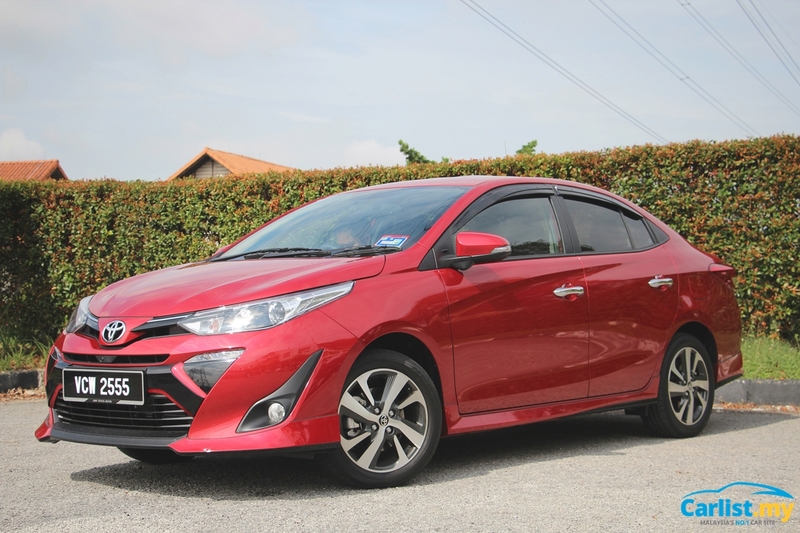 Some may prefer how the pre-facelift Vios looks, and to a certain extent, we do agree. With the new model, we get the impression that Toyota was trying a little too hard in an effort to separate it from the crowd. In some ways, they did succeed – the exterior of the Vios is definitely eye-catching. But, when compared to the model it replaces, the front end of the all-new Vios is unnecessarily complicated due to the addition of the front bumper trim pieces. We reckon that the all-new Vios looks better without the trim pieces, similar to how the Singaporean market Vios looks like. 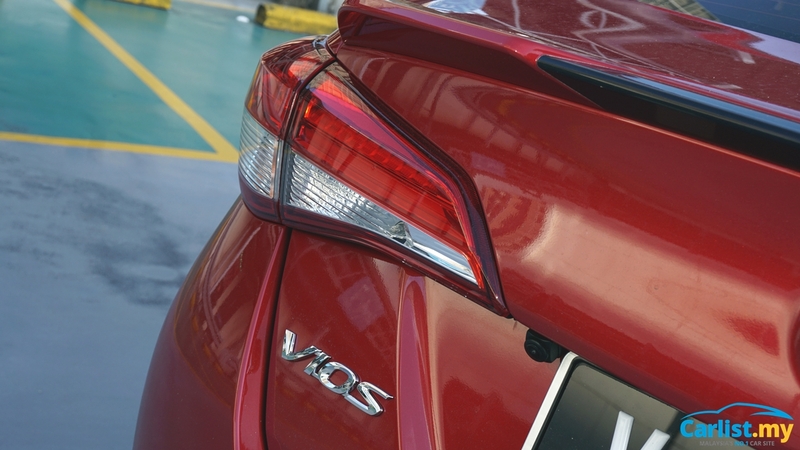 Despite that, the rear end of the all-new Vios is a step up from the old model. The Vios now looks more matured with this new rear end, thanks to the pair of more organic-looking tail lights. LEDs can be found in the higher E and G variants of the Vios. The interior of the all-new Vios, while still behind the Honda City in terms of practicality, is still a massive step up from the model it replaces thanks to a good mix of high quality materials. The leather seats feel good, and Toyota has placed some nice-feeling leather on the door trim, further elevating the ambiance of the cabin. 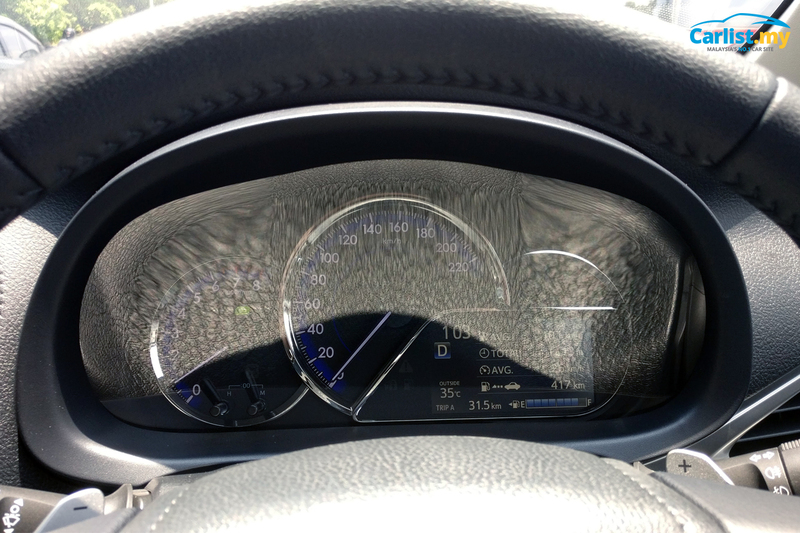 One gripe we encountered with the Vios is that the steering column reflects sunlight rather badly during afternoons, making the instrument cluster hard to read. A rather glaring oversight on Toyota’s part, it seems. Another aspect where Toyota tried to increase the appeal of the Vios is in its features which are usually reserved for high-end models. For starters, the E and G variants of the all-new Vios include a front digital video recorder. 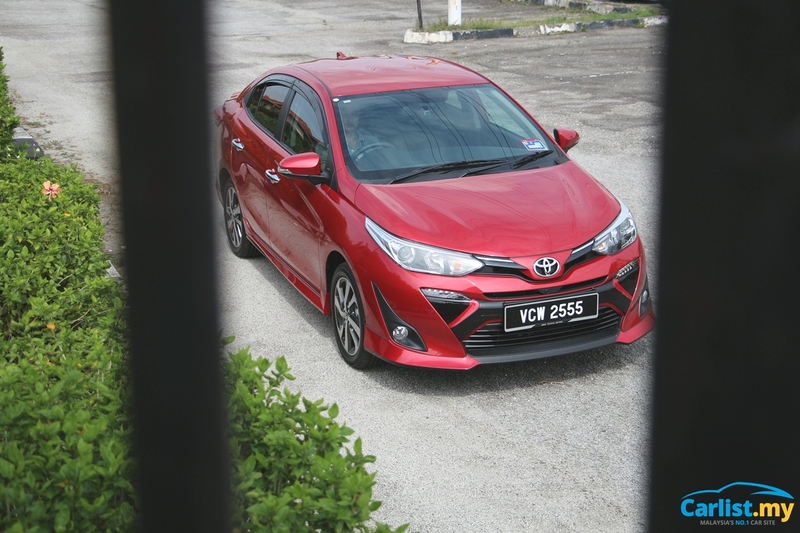 Buyers of the Vios can also opt to include a rear camera for an additional RM 350. Small sum to pay for better peace of mind, really. Video quality of the built-in DVR is decent at best – details are far from pixel perfect, but sufficient enough when evidence is needed. Night visibility is just about average. We are aware that aftermarket DVRs exist, but having one wired up to the vehicle’s electric system instead of haphazardly tapping unused fuses is a much better solution. Besides, the wires are neater too. Toyota has also included a 16GB MicroSD card with the DVR, though we high recommend owners to replace it with a high endurance MicroSD card for better reliability. 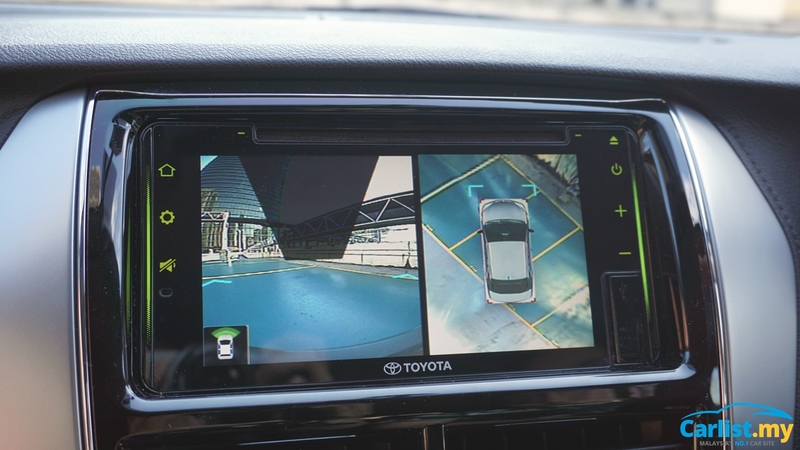 Another feature that the Vios includes is the Panoramic View Monitor (PVM), a system that utilizes four cameras located around the car to give the driver a bird’s eye view of the car. The image stitching may not be perfect, but the image resolution is decent enough to aid drivers to manoeuvre out of tight spots. It is also worth mentioning that the overall image quality of the PVM is far superior to the one found on the pricier Mazda 6. Moving on to the head unit, Toyota has mentioned that both the E and G variants of the Vios include a 6.8-inch touchscreen head unit. Unlike the one found in the recently-updated C-HR, the one fitted to the Vios does not support Apple CarPlay or Android Auto; instead you will need to install an app called T-Link. 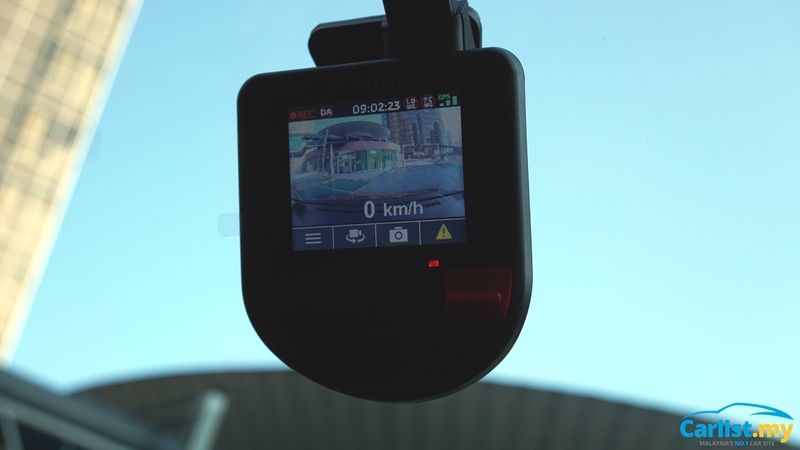 Similar to MirrorLink, T-Link mirrors whatever is shown on your phone. While it sounds good in theory, it is far more complex in operation. 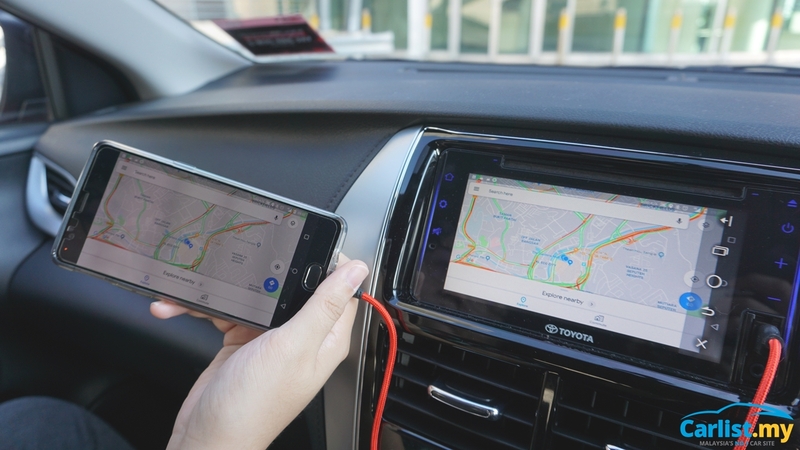 Unlike Apple CarPlay or Android Auto which allow the phone display to be turned off, T-Link (and MirrorLink) requires the phone’s display to be constantly left on, as that is how mirroring works. As a result, your phone will run hot while T-Link is running. We also appreciate the inclusion of the 4.2-inch multi-info display, which is able to display a range of useful information, such as average fuel consumption, total driving time, average speed, distance-to-empty, and a digital speedometer. 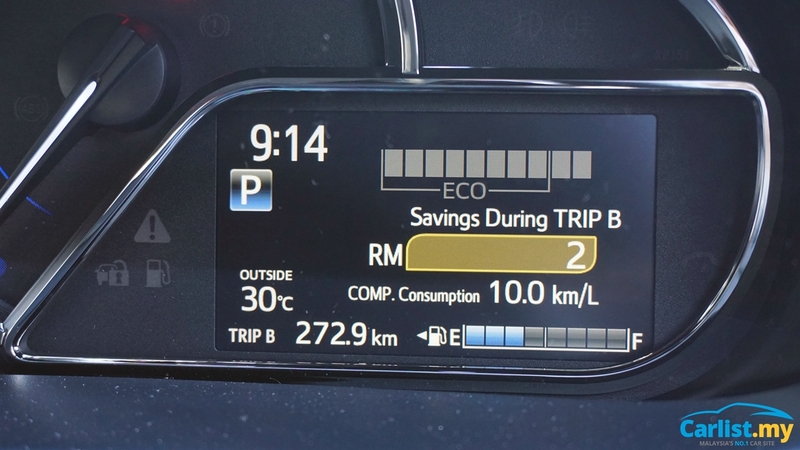 One cool feature we noticed was the inclusion of fuel price in the ‘Eco Savings’ menu. Here, owners can pre-set the current fuel price and see how much money they can save by driving efficiently. 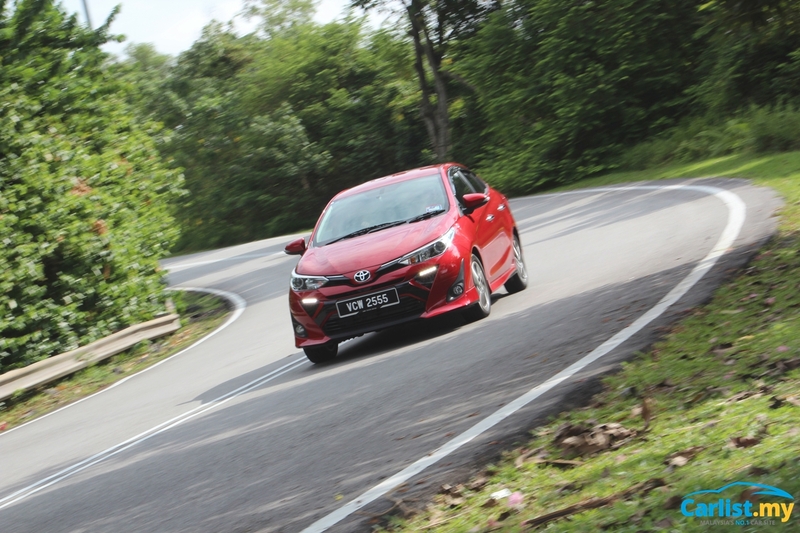 Let’s face it - the Vios is not the last word in driving dynamics. But in the case of the all-new Vios, a lot has changed. Upon driving the Vios, we noticed that the cabin quietness is rather impressive. Thanks to additional soundproofing materials and a more rigid body shell, the Vios’ cabin is segment-leading, which is an impressive feat all things considered. Toyota has also done a swell job setting up the suspension of the Vios, as the little sedan is able to balance ride comfort and handling rather well. Couple that with the nicely weighted steering and smooth CVT, and the Vios makes for a rather good long distance cruiser. Now, if only it came with cruise control. Considering that our tester has so far clocked 600-odd kilometres, the engine is still relatively ‘tight’. As such, power delivery felt really restrictive and the fuel consumption was rather poor. We averaged about 10 km/L over the 300 plus kilometres we added to the car. Fret not, as we expect performance (and fuel consumption) to improve once the car has done its first few periodic services. Unlike the Honda City or Mazda 2, the Toyota Vios still lacks telescopic steering adjustment, a foot rest, and a front demister. While the all-new Vios is marketed as an all-new model, it is more of a very major facelift. We reckon that the all-new term is fully justifiable as the improvements done to the driving dynamics, cabin quietness, and overall refinement are more than substantial. Even when compared with some of its key rivals, the Toyota Vios now has enough substance to compete with the best in the segment, be it in terms of safety equipment or cabin refinement. For the best deals on the Toyota Vios, click here.